Furniture retailers are increasingly under pressure from customers to deliver shorter lead times, in turn passing on the challenge to manufacturers of furniture, fittings and door furniture. The subsequent rate of growth leaves furniture manufacturers with gaps within their current solution and over purchase on materials due to inaccurate forecasting. 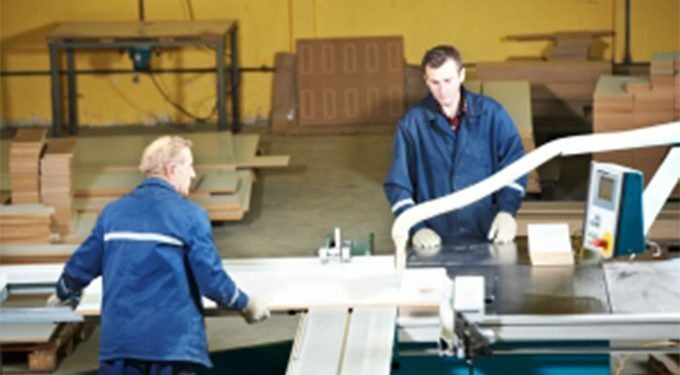 A furniture manufacturing ERP solution from SYSPRO allows you to meet these challenges. The product configurator offers rule-based product customisation allowing you to meet customer specifications in a controlled, cost-effective and friendly manner. SYSPRO allows you to respond to daily changes in scheduling priorities and material requirements, reducing waste through accurate forecasting. The SYSPRO CRM solution allows tracking and management of all customer and supplier touch points, while SYSPRO’s mobile technology, Espresso, means you’re always on top of stock movements and distribution. SYSPRO’s Inventory module is a synchronized hub providing a consolidated view of all stock locations and those activities that impact inventory optimization and customer service levels, as well as the end-to-end elements of costs and lead times. Features such as Pareto and obsolescence analysis can assist in identifying those products that are suitable for VSM focus, while SYSPRO modules such as Engineering Change Control, Bills of Material, Work-in Progress and Factory Scheduling facilitate the evaluation of targets for kaizen programs, such as reduction in design and manufacturing costs, cycle times, queues and setups. Exceptions to inspection rules are configurable per customer, supplier, operation and work center with quality inspection points at Work in Progress Inspection, Purchase Order Receipting, Sales Order Inspection and Inventory Inspection. These quality control checkpoints allow the collection of actual physical product data, to facilitate statistical process control, as well as provide an opportunity for simple material review in the event of a non-conformance, with the possible outcome of inventory reclassification or scrapping. Logs of all quality checks performed are held, including the details of the operators performing the check. Particularly suited to job shop, batch process and project environments, SYSPRO Factory Scheduling provides the planner with an interactive decision support tool that helps balance demand and resource availability. Optimization is enhanced through the consideration of priorities, constraints, and conflicts, as well as sequencing and synchronization requirements. Automatic forward, backward and bi-directional scheduling is available, along with manual intervention. The customizable graphical interface enables quick and easy identification of schedule loads, job and operation statuses and links, and resource availability. Strict management of raw material lead times is vitally important in controlling overall procurement costs and attaining customer service level targets. SYSPRO enables you to monitor quoted purchasing lead times against actual supplier delivery performance and to flag reliable suppliers of specific raw materials as certified in the system, as well as to track blanket purchase order contracts. SYSPRO comes fully loaded with all the modules manufacturers need to operate their business. Here we’ve selected the key modules we think will be most important to furniture manufacturing.